Welcome to San Jose dental practice of Richard D. Sellen, DDS. We provide general, cosmetic, and restorative dental treatments to restore and maintain the health and beauty of our patients’ smiles. As a dental practice serving the Willow Glen and San Jose community, our entire team focuses on providing our guests with a warm, family-friendly environment to receive comprehensive dental care. We look forward to providing treatment to meet your needs. We encourage you to browse our website or call our office for your next appointment! As your San Jose dentist, Dr. Sellen is dedicated to providing quality dental treatments to meet the unique needs of our patients. Although your oral health and preventive care is our top priority, we provide an array of cosmetic dental options to enhance the look of your smile. Dr. Sellen focuses on enhancing and restoring teeth to their fullest potential. If you are missing teeth and need denture care, porcelain crowns or dental implants, our team has the knowledge and experience to help enhance your smile’s aesthetic. Dr. Sellen and our friendly staff love to provide dental care for patients of all ages. We see patients as young as two years old and welcome the entire family to our practice. In order to ensure each patient receives quality dental care that meets their needs, we practice comprehensive, interdisciplinary care, working with trusted specialists and local labs in the area. Your entire health is important to us. Our San Jose dentist and his experienced staff are dedicated to providing dental care that meets your oral health and cosmetic needs. For more information about our dental services, or to schedule your next appointment, contact our dental practice today. We are proud to provide dentistry in San Jose, Willow Glen, and surrounding communities. 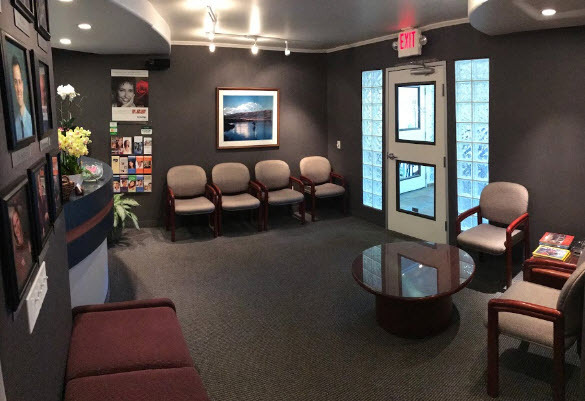 San Jose Dentist, Dr. Richard Sellen is a dental professional dedicated to General, Family & Cosmetic Dentistry such as Dental Exams, Cleanings, X-rays, Fluoride, Dental Makeovers, Teeth Whitening, Veneers, Crowns, & more. Please come and visit San Jose, CA dentist Richard Sellen, DDS.